This is “Golden”, one in a series titled simply “The Flowers” (see more of them here, just click on “show thumbnails”.) 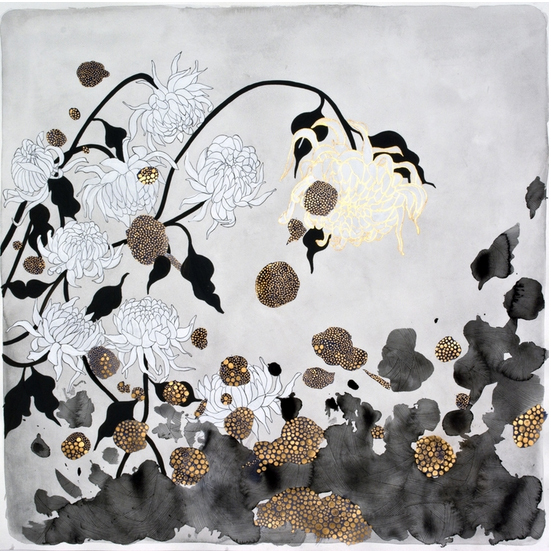 I was drawn to these because they remind me of traditional ink wash paintings – delicate lines, black-and-white color scheme, minimalist details, but with a modern twist. So if you’re inspired, put together an outfit and send it to me (14shadesofgreyblog@gmail.com) by next Monday, April 6th. You can use this painting or any from the series. Have fun!